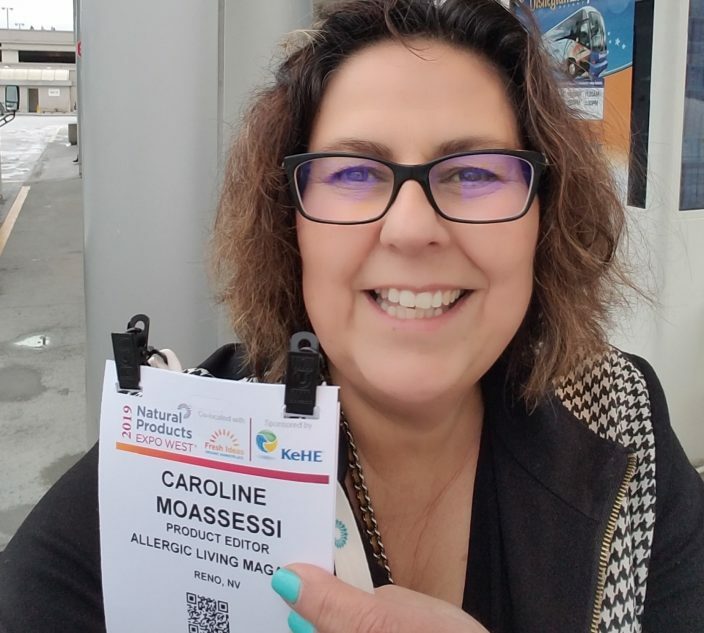 For food-free fun ideas click here. 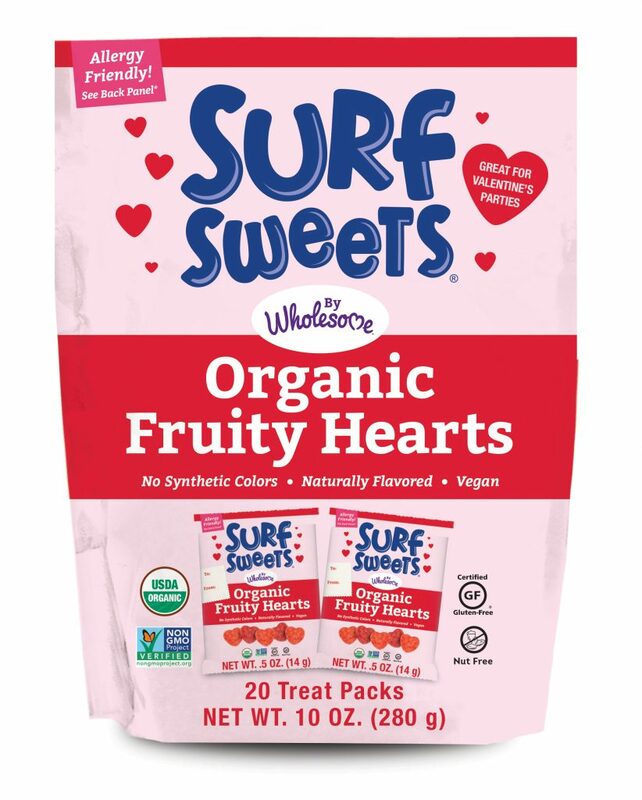 An allergy-friendly constant, Surf Sweets is a dependable company loved by millions for their safe, delicious and naturally flavored sweets. This year, spread the love with a treat pack of 20 mini bags of Organic Fruity Hearts in cherry and watermelon flavors. With space for a personal message on each wrapper, these safe treats make perfect Valentine’s Day hand-outs. 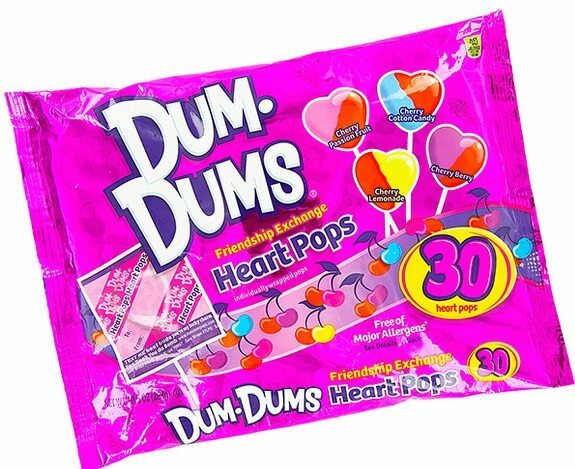 Each bag of Dum Dums “Friendship Exchange” Heart Pops brims with candies in tempting, swirled flavors such as cherry passion fruit, cherry cotton candy, cherry lemonade and cherry berry. 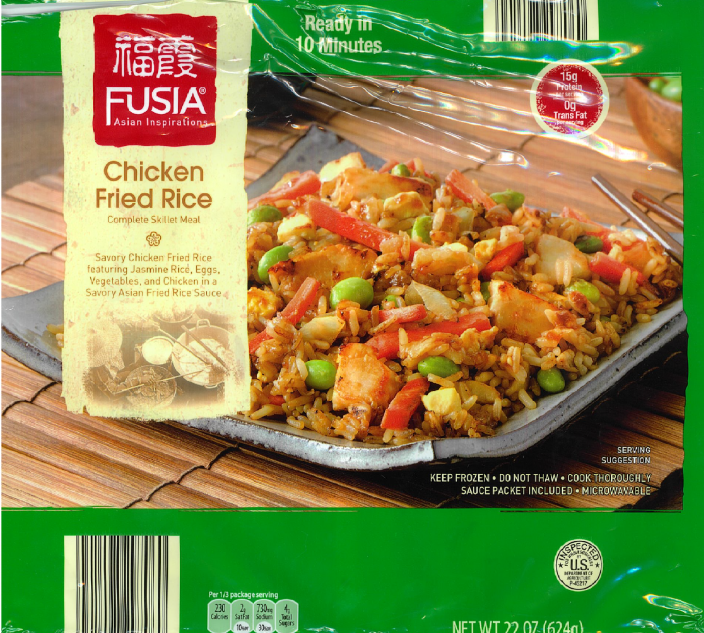 Free of: Peanuts, tree nuts, wheat, dairy, egg, fish and shellfish (may contain trace amounts of soy). Looking for a perfect way to say “I love you,” to your smallest sweetie? 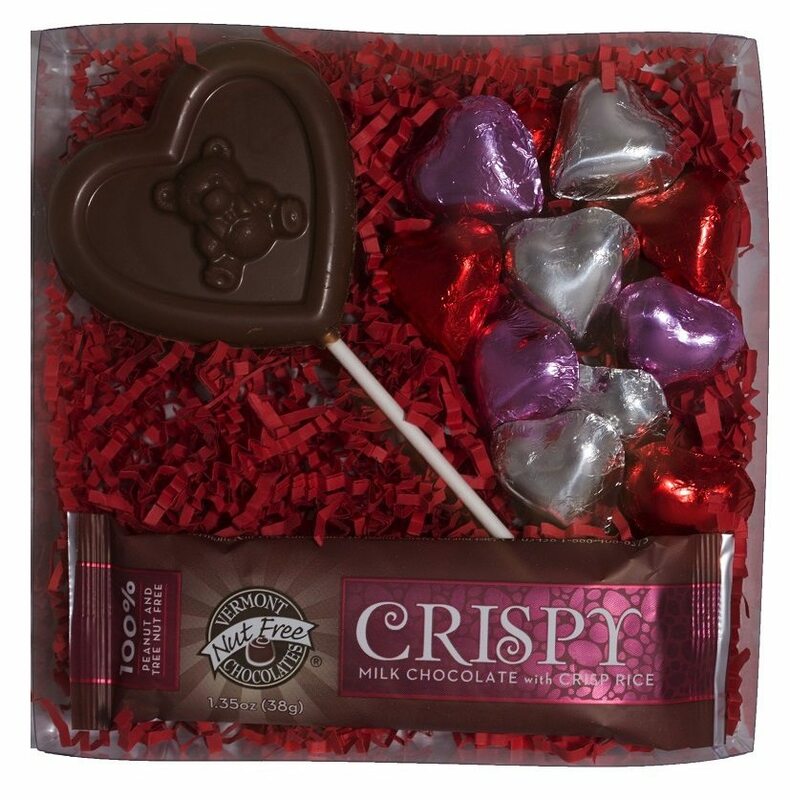 Available in milk or dark chocolate, Vermont Nut Free’s Lil’ Sweetheart Gift Pack is a delightful mix of mini foil-wrapped hearts, a chocolate lollipop and chocolate bar. Festively packaged, it makes for a thoughtful surprise for the little valentines. 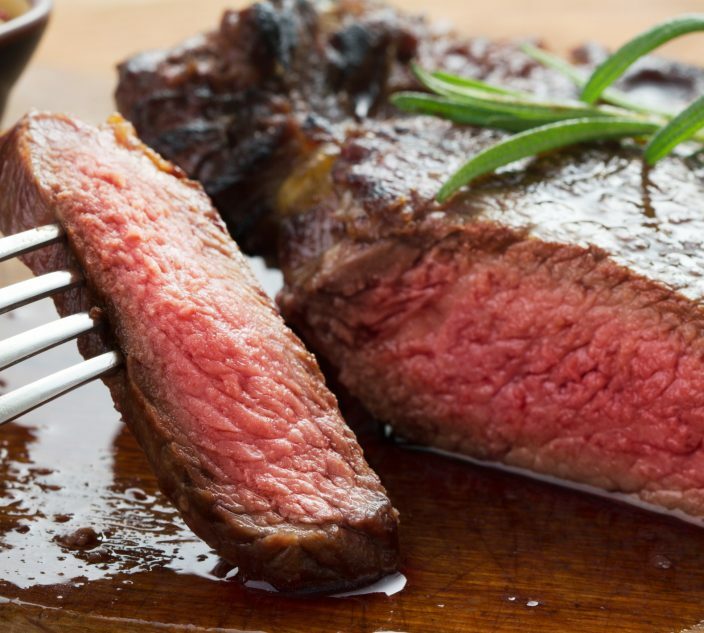 There’s more than one way to heat things up this Valentine’s Day! Made with real cinnamon oil, Gimbal’s Cinnamon Lovers confections are a fiery, spicy way to crush candy cravings. Free of: Top 8 allergens and gluten. 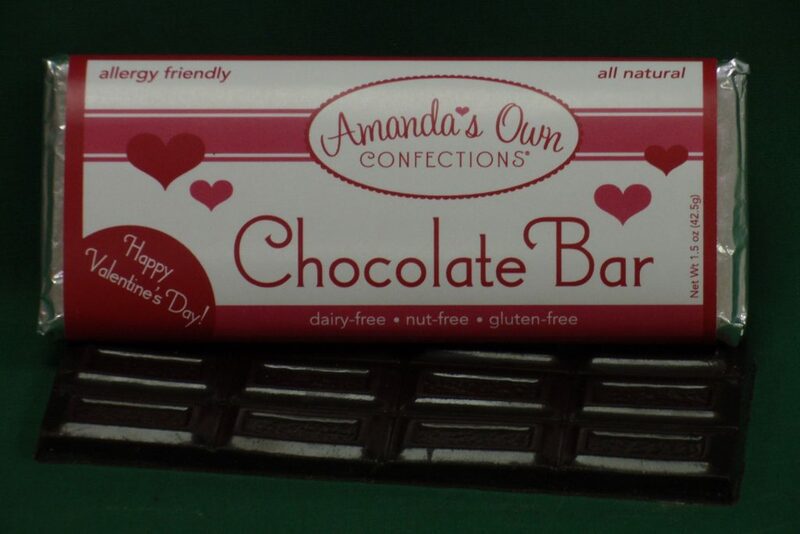 For an assortment of pretty seasonal chocolates, Amanda’s Own has you covered. Top-8-free Valentine’s Day candy bars or heart-shaped chocolate lollipops make sweet gifts for the loved ones on your list. Has love got you tongue-tied? 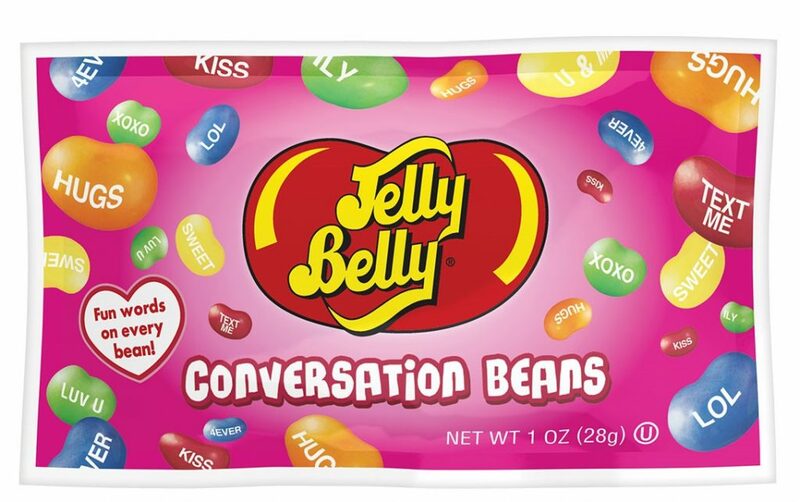 Leave it to Jelly Belly Conversation Beans to get your feelings across even if you can’t utter a word! Affectionate words such as “Sweet” and “Hugs” combine with the tasty, sour flavors of apple, grape, cherry, orange and lemon in each bag. 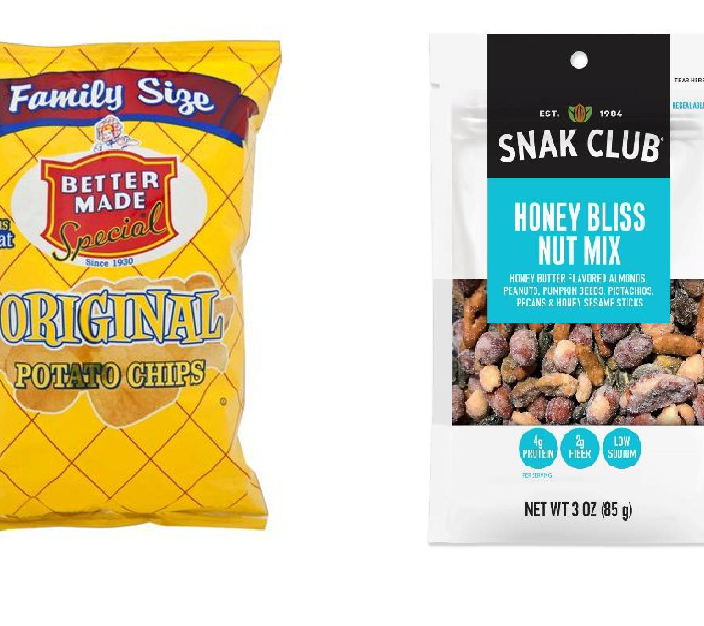 Free of: Dairy, egg, wheat, soy, fish and shellfish (Jelly Belly products do not contain peanut or tree nuts, but are produced in facilities that occasionally process these allergens). All year long, we turn to Mike and Ike candies for chewy, fruity, sweet satisfaction. It’s no surprise then that Mike and Ike’s Passion Mix is on hand for our Valentine’s Day celebrations. A blend of cherry, grape, paradise punch and strawberry, the Passion Mix combines popular flavors in seasonal packaging ideal for gifting. Free of: Top 8 allergens. Treat yourself as well as your sweetheart with tempting goodies from No Whey! Foods. Opt for chocolate-covered individual heart brownies, a box of heart-shaped pea”not” chocolates or white chocolate, lemon ganache “Love” truffles. Each one is guaranteed to please. Think two hearts are better than one? Then you’ll agree that a toy plus candy is the sweetest gift there is! 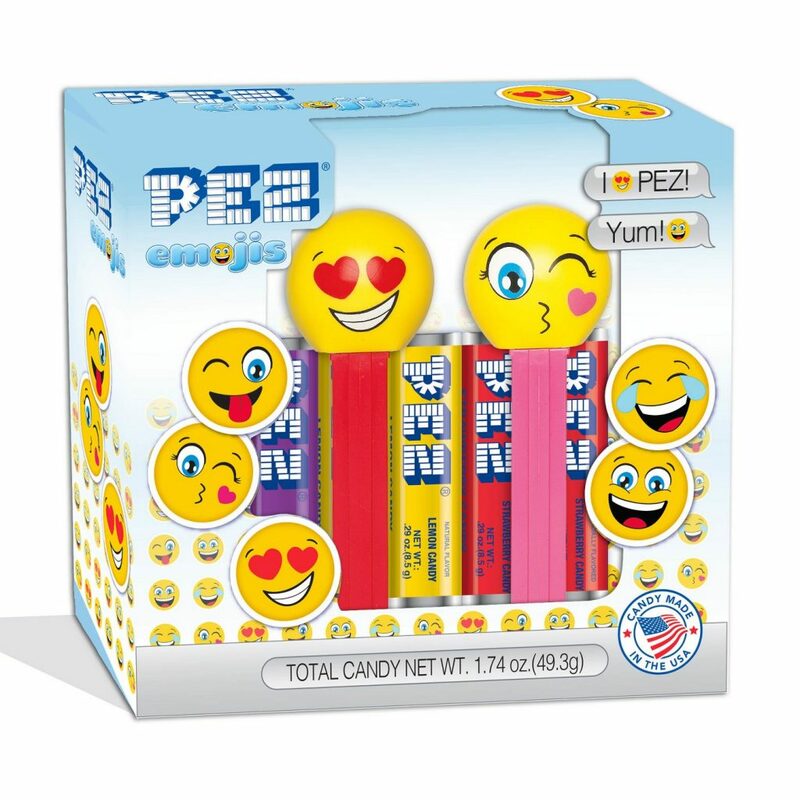 Surprise kids with Valentine-themed PEZemoji and you’ll be a shoo-in for coolest parent on the block. 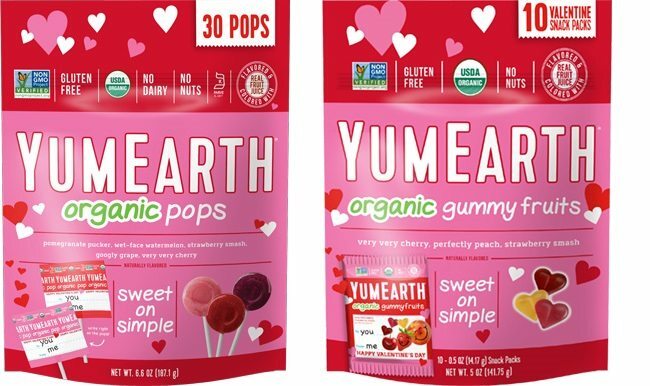 If juicy fruit flavors like perfectly peach, strawberry smash and googly grape get your heart pounding, you’ll want to stock up on YumEarth’s natural, organic goodies before the big day arrives. Choose individually wrapped lollipops or bags of gummy hearts and try to remember that sharing truly is caring. 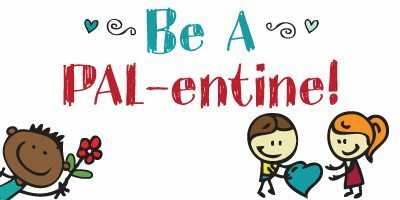 Teach kids the meaning of inclusive fun on Valentine’s Day with Food Allergy Research & Education (FARE)’s PAL-entine resource page. There are adorable cards, stickers and posters available to purchase in their online store as well as fun activities free to download. 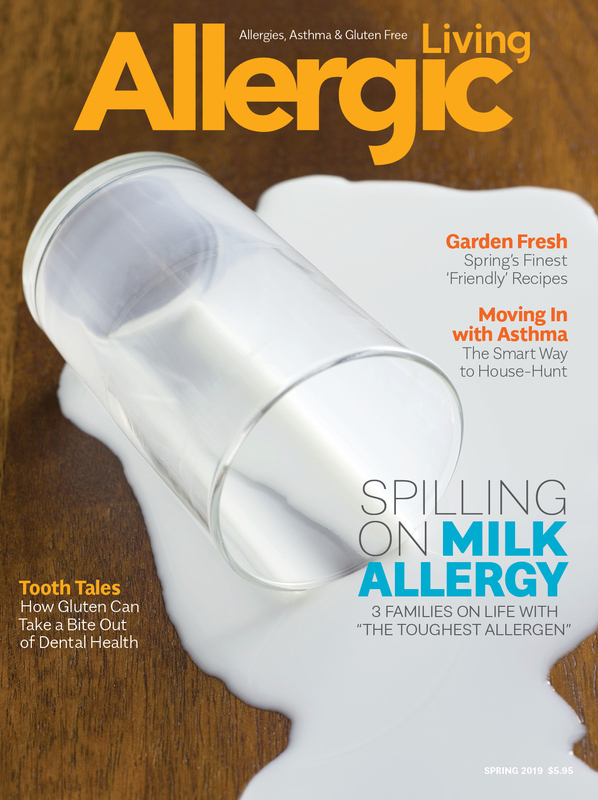 This will help children learn the best ways to help those with food allergies, on special occasions and all year long. Need a way to spread the word and the love this Valentine’s Day? Empower and protect allergic kids with teal-colored slap bands from Allergy Superheroes. 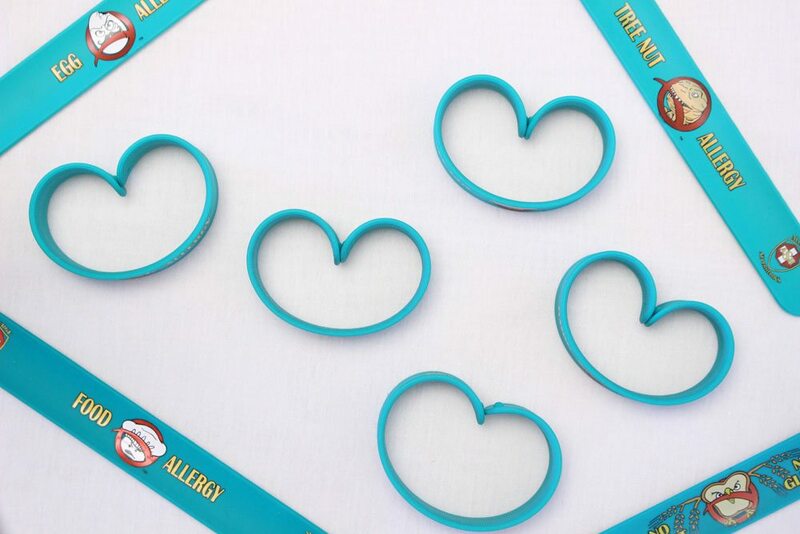 An easy way to alert others to a child’s allergy, these bands make cool, food-free treats that kids will love showing off! 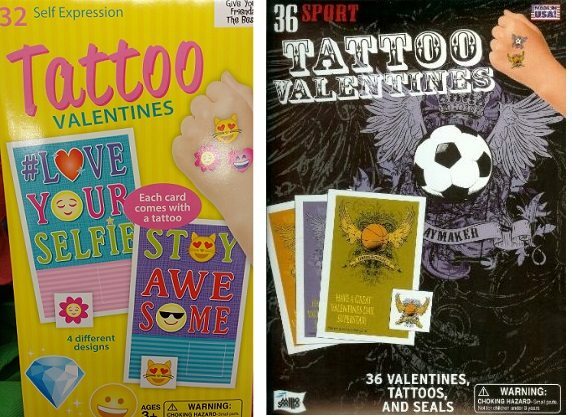 Kids will have a blast handing out Mello Smello’s colorful tattoos designed with Valentine’s Day in mind. Each box of 32 includes 4 different card designs with a cute tattoo in each! Having trouble finding non-edible Valentine’s Day handouts? Turn to Oriental Trading for heaps of gifts that little ones will be happy to give and to receive. 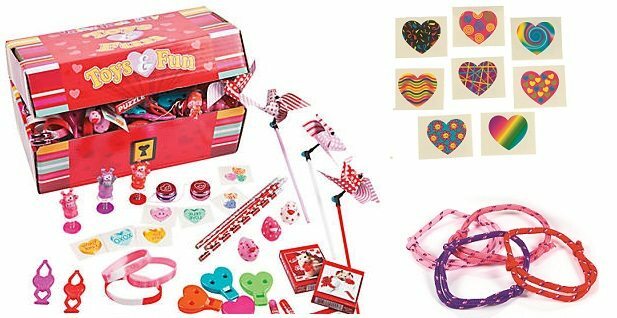 Among our favorites are colorful friendship bracelets, pink, heart bead necklaces and funky, heart-shaped tattoos, perfect for inking (if only temporarily!) the one you love. Love stickers? You’ll find every shape, size, color and finish possible at Mrs. Grossman’s. 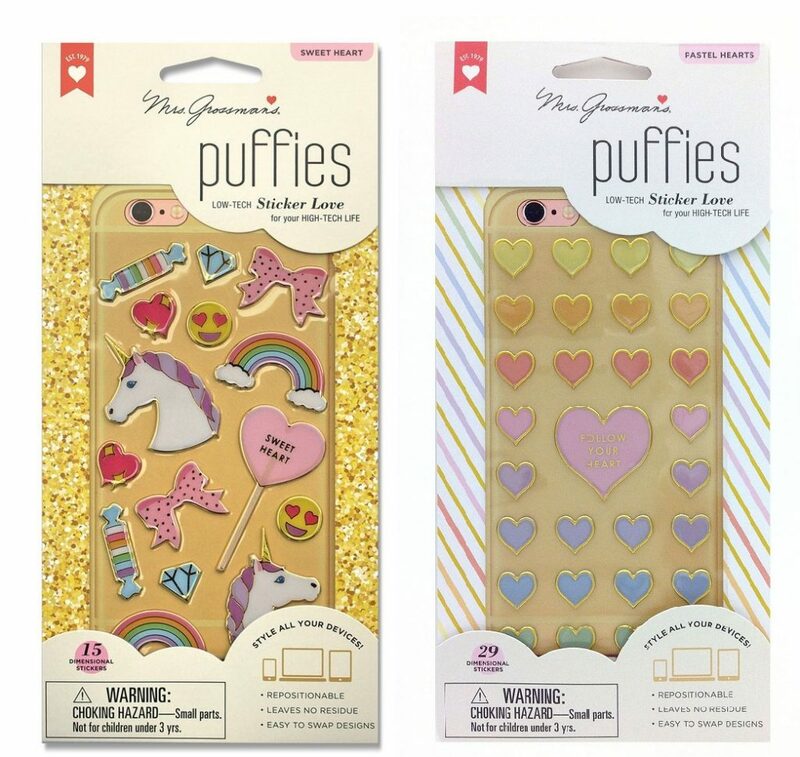 Choose from glittery or gold-edged, puffy or smooth, knowing that every sticker you order will be a beautiful, top-quality work of art. For a gift that keeps on giving, sign up for Mrs. Grossman’s recently launched monthly sticker club.